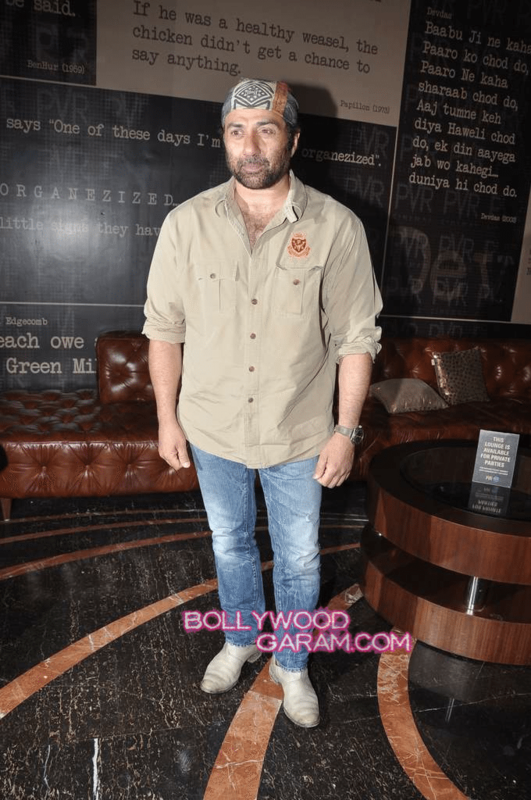 BollywoodGaram.com: Bollywood actor Sunny Deol launched the first look of the upcoming movie ‘Singh Saab The Great’ on August 29, 2013 at PVR cinema in Mumbai. The movie is directed by Anil Sharma and has Sunny, Amrita Rao, Prakash Raj and Urvashi Rautela in the lead roles. Amrita and Urvashi were also present at the event along with Deol . Both the actresses wore looked stunning sporting the Indian look, while Deol was seen sporting a bandana. Singh Saab The Great’s music was composed by Anand Raj Anand, while the title song of the flick is composed by the young singer Sonu Nigam. Sunny will also be seen in the upcoming movie ‘Bhaiyyaji Superhit’. Next articleSarabhai Vs Sarabhai to get a remake?